Many congratulations Nellie. 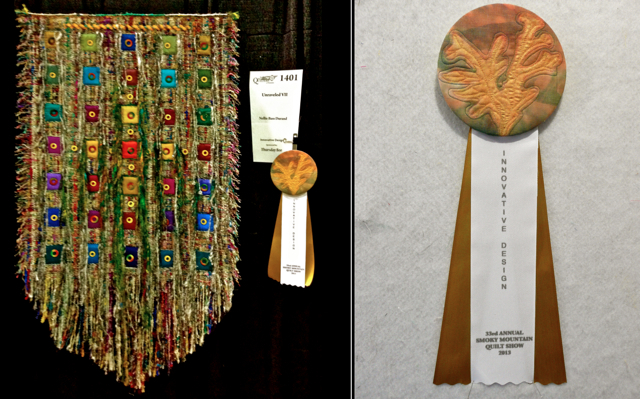 It is easy to see why the judges awarded your quilts those ribbons. I love them all. Congratulations! I love the way the last piece turned out with the contrast in textures. I had been wondering what kind of reaction you got from the modern quilt people. Congratulations -- well deserved acknowledgement! 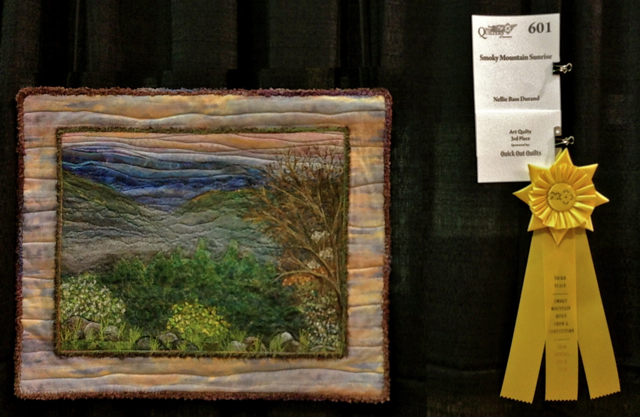 I love the innovative quilt -- the other two I love too but the innovative one is what "art" means to me. Bravo! Three ribbons...that is outstanding. I always think controversy is a good thing. Makes people sit up and take notice. 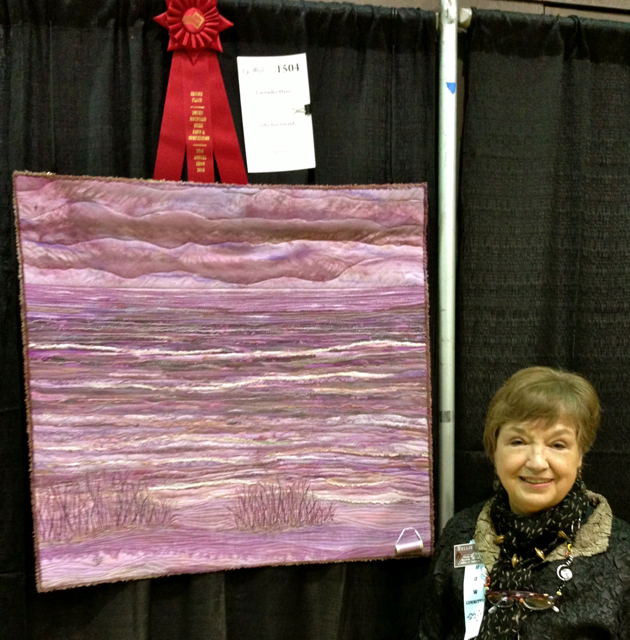 This art quilt just oozes texture. Love that rickrack technique too. p.p.s. Did you see the special award ribbons I made using your tutorial? Thanks for sharing it!! These are all beautiful Nellie! You have been busy creating wonderful pieces, once again. Congrats and hugs to you!